With April just around the corner and Daylight Savings giving us our extra hours of sunshine back, it’s time to start thinking about spring… and spring cleaning! Many of the products you will use to scrub, sanitize, wax, dust and paint your walls will certainly clean your home, but in the long run, they may be polluting the environment, our water sources, and even our gardens! We buy certain cleaning products, and use them, because they work. But, they work because there is a formula of chemicals and other materials that are designed to kill germs… and sometimes those formulas are toxic to more than just dust bunnies. Products of this nature are considered Household Hazardous Waste, and should be stored and disposed of properly. Because federal law does not take responsibility for the disposal of HHW, many communities have collection programs for HHW to reduce the potential harm posed by these chemicals. EPA encourages participation in these HHW collection programs. Read on to learn more about how identify HHW in your home, and where to go in and around Philadelphia to properly dispose of your HHW. 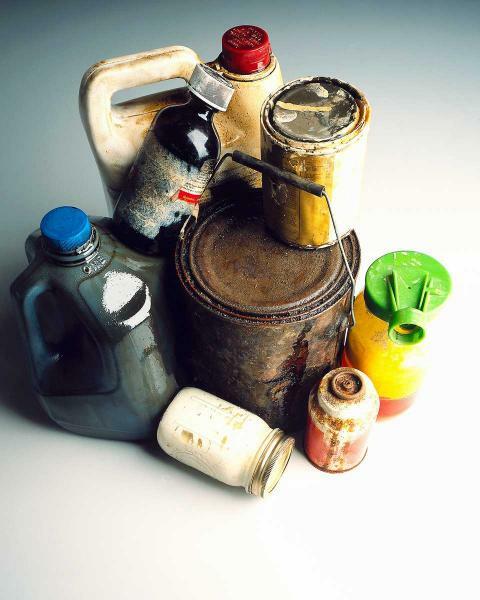 Breaks down the steps to identify Household Hazardous Waste and dispose of it properly. 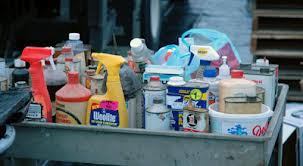 Free Penn State publication online entitled Household Hazardous Products and Hazardous Waste: A Summary for Consumers. Some medications are considered HHW! For an updated list of prescription drugs which can be safely flushed please visit the USFDA web site or contact the USFDA at 1-888-463-6332. So what should you do with this stuff? There can be a lot of confusion about how to properly dispose of these household items. Many people think it’s okay to rinse empty containers out in the sink or dump outdated liquids down the commode. Some people set old cans of motor oil in the back yard, or toss batteries and old televisions out with the garbage. Although federal law permits us to throw many of these items in the trash, and no one can stop you from pouring your bucket of cleaner onto the street and into the city drain system, the EPA (and millions of citizens, scientists and tree-lovers agree) these are not the safest way to dispose of your household trash. Indirectly, these chemicals and materials can pollute the environment, slip into sewer systems and even into our drinking water when not disposed of properly. Directly, certain types of HHW have the potential to contaminate wastewater treatment systems, contaminate septic tanks, and even cause physical injury to sanitation workers who come into contact with this sort of pollution. The EPA provides a variety of information, research, instructions and specifics on how to safely store and properly dispose of HHW for the benefit of your family, your community and our environment. They recommend finding a drop-off program, event, or center nearest to your community and participating in the national efforts to reduce the potential damage HHW can have on our environment. Along with many other cities, towns and communities, Philadelphia is raising awareness and doing its part by continuing their Household Hazardous Waste Drop-off Events. This is by far the easiest – and safest - way to properly dispose of your HHW. All you have to do is show up! The first of 7 scheduled events is April 20th at the Streets Department’s Training Center. You can clear out the hazards in your house or garage between 9am and 3pm on this day. Events are scheduled for May through November in varying locations around the city. 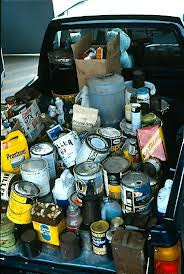 Bring your household hazardous items and the staff at each event will take care of the rest for you. The Master Gardeners and the Philadelphia Cooperative Extension are doing their part to support many of these events by donating their time to attend the drop-offs and distribute information to participants. Master Gardeners interested in donating their time can get more information on the MG volunteer webpage. Residents may drop off Computers and Televisions on the 2nd Saturday of each month from 10am to 2pm at the Ezekiel Baptist Church, 5701 Grays Avenue. Don’t see your community on the lists above? Here are some cool, interesting facts to share with your neighbors when you tell them about the local drop off events and help motivate your community to think differently about HHW. • Recycling one million laptops saves enough energy to power 3,657 American homes in a year. • Recycling one million cell phones allows 35,274 pounds of copper, 772 pounds of silver, 75 pounds of gold, and 33 pounds of palladium to be recovered. • The average American home has as much as 100 pounds of hazardous materials in it, and the EPA estimates that we generate as much as 1.6 million tons of household hazardous waste each year. 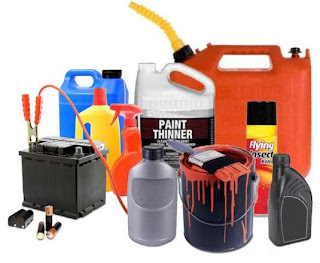 • 10% batteries, unidentified materials and other miscellaneous items, such as old chemistry sets, photographic materials, and fiberglass epoxy.